The Battle of the Books is here! The “Battle” is a friendly, but competitive, trivia competition based on books in several different genres. Teams may have 2, 3, or 4 members; all members must be 4th or 5th graders. The first round of the competition will be on Wednesday, March 13th in the library at lunch. The second round of the battle will occur on Wednesday, March 20th in the library at lunch. Special thanks to Celia’s for providing lunch to all students during Rounds 1 and 2. The district-wide finals competition will occur on Tuesday, March 26th in the South Library at 5:30 in the evening. Good luck to all the teams! Battle of the Books Teams must be familiar with the following 10 titles: Realistic Fiction: Hello, Universe by Erin Entrada Kelly; The Terrible Two by Mac Barnett; Mystery: Book Scavenger: Book 1 by Jennifer Chambliss; The Candymakers by Wendy Mass; Fantasy: The Graveyard Book by Neil Gaiman; A Wrinkle in Time by Madeleine L’Engle; Historical Fiction: Cracker: The Best Dog in Vietnam by Cynthia Kadohata; Adventure: Hatchet by Gary Paulsen; Sports Fiction: Heat by Mike Lupica; Science Fiction: Masterminds: Book 1 by Gordon Korman. Reading Tigers is on Thursday, March 14, 2019: The fourth Reading Tigers meeting of the year will be on March 14th, and the books are available now in the library for check out. Parents, please make sure your child is reading his/her book and has finished it by the date of the meeting. Additionally, consider reading with your child to support their participation! The book selections are as follows: 2nd grade, Mac B: Kid Spy #1 by Mac Barnett; 3rd grade, The Miraculous Journey of Edward Tulane by Kate DiCamillo; 4th grade, Where the Mountain Meets the Moon by Grace Lin; 5th grade, Wonder by RJ Palacio. Check out Mrs. James’s Instagram account: Mrs. James has created an Instagram account, @thetigerlibrarian, providing book recommendations for parents and students.  There is a short book summary for each title as well as hashtags indicating the main themes of the book. Plus, if you’re a nature person or just like flowers, you’ll enjoy the unique small bouquets that Mrs. James creates for every new book title she profiles. Enjoy the photos and also find some great books for the 2018-19 school year by following @thetigerlibrarian. Start or Finish the Reading Challenge This Winter: Students have until April 26th to turn in their answers for this year’s Long Term Reading Challenge. The celebration party will be Thursday, May 9th, from 5:30 to 7:30 pm. Go to the “Reading Challenge” tab at the top to see the book lists and quotes. On Tuesday, March 5th at 11:00 author Sayantani DasGupta entertained 3rd through 5th graders. She spoke about her journey as an author and her amazing new series, Kiranmala and the Kingdom Beyond. The South community thanks The Reading Bug for sending this amazing author our way! On Thursday, February 21st, New York Times best-selling author and illustrator duo Beth Ferry and Tom Lichtenheld spoke with students about their new brand book, Ten Rules of the Birthday Wish. South is grateful to The Reading Bug for arranging this visit. Maryrose Wood, the author of the Incorrigible Children of Ashton Place had planned to visit South on Friday, November 16th to promote the sixth and final book in the series; however, smoke from the Camp Fire closed school. Luckily for all the students who pre-ordered books, Maryrose Wood graciously came by to autograph all the purchased books. New York Times best-selling author Gordon Korman visited South on October 17th and author/illustrator LeUyen Pham visited on October 23rd. South students were so inspired by their presentations and thankful to Scholastic, Inc. for arranging this visit! Author Oliver Chin visited South on February 6th and shared his journey to becoming an author and read The Year of the Pig in honor of Lunar New Year. Mr. Chin has written a book for each animal in the Chinese zodiac and is currently writing new books for his Asian Hall of Fame series. South is grateful to Hicklebee’s for Mr. Chin’s visit! The South Hillsborough School Elementary Library contains over 18,000 books. New books are added weekly. Stop by today to check out a great new book, including Mercy Suarez Changes Gears (the Newbery Medal winner! ), Lighthouse (the Caldecott Medal winner), Alma and How She Got Her Name (a Caldecott Honor book), and Thank You, Omu! (a Caldecott Honor book). The latest additions to the library will always be placed on the Birthday Book table, so look there to browse the new books! Search the South collection online. Learn more about South Hillsborough School by visiting the South website. For this year’s American Library Association winners, click here. To view past Newbery winners, click here. Visit the San Mateo Library website. Visit the Burlingame Library website. To search the World Book online from home, you’ll need to visit the San Mateo portal. Send me an email, and I’ll give you the username and password. Do you love reading and books? There are many ways to promote literacy plus your child’s love of reading by volunteering in the library this year. Volunteers are needed to help with book borrowing, book shelving, bookmarks, book repair, book reviews, cataloging, library lessons, the Reading Tigers program, and the book fairs. Please see Soraya Oliven or Deb Crisp (Reading Tigers parent coordinators), Shannon Seeberan or Jessica Zucker (Library Volunteer coordinators), Amy Lin, Katherin Baban, or Beth Rosen (Book Fair chairs) if you would like to learn more about the volunteer opportunities in the library this year. If you would like to volunteer at South, remember that all volunteers must sign up online through Konstella and sign a confidentiality agreement. Konstella will help everyone manage the incredible number of volunteer hours given to South each year. The confidentiality agreement is designed to remind all volunteers of the importance of keeping student and school sensitive information private for the well-being of our entire school community. Join the Judy Goetzl Birthday Book Club! The purchase of new books, CDs, and Playaways for the South Library is made possible by the generosity of the South parent community when donations to the Judy Goetzl Birthday Book Club are made. If you haven’t already done so, enroll your child today by making a $25, $50 (or greater!) donation. Forms are available under the “Birthday Books” tab or by clicking here. The Birthday Book Club is named in honor of Judy Goetzl, South‛s amazing librarian for over 20 years; your contribution ensures that the diverse collection she created will remain current and stimulating. Tiger Den Transformation: Wishtree. 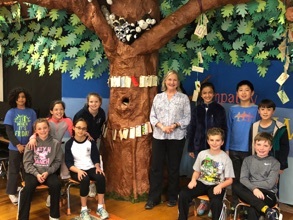 The entire South community read the novel Wishtree by Katherine Applegate because of the powerful and timely themes it contains, including empathy, tolerance, friendship, cooperation, and respect for nature. The library stage (aka The Tiger Den) has been transformed in celebration of South’s reading. It now has a large Wishtree on which each member of the South community placed a wish on March 30th. Many thanks to the wonderful parents and grandparent who made the Wishtree a reality--Jessica Zucker, Amy Lin, Mia Alioto, Jennifer Sepulveda, Carolyn Lorber, and Jim Lee. We plan to have its beautiful spreading canopy grace the Tiger Den for many years!